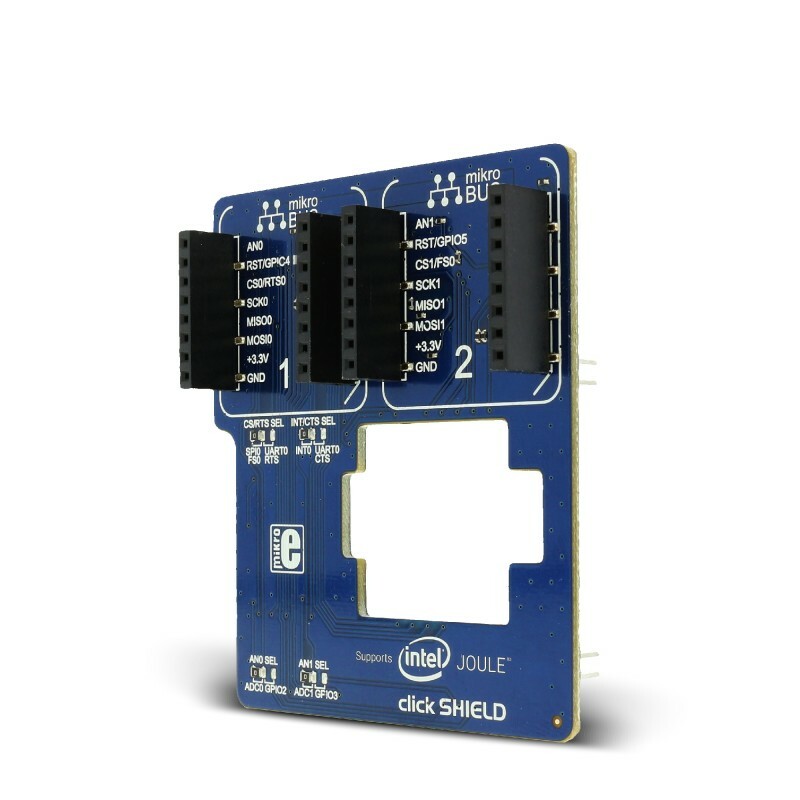 Intel® Joule™ Click SHIELD is an extension for Intel® Joule™ Expansion Board. 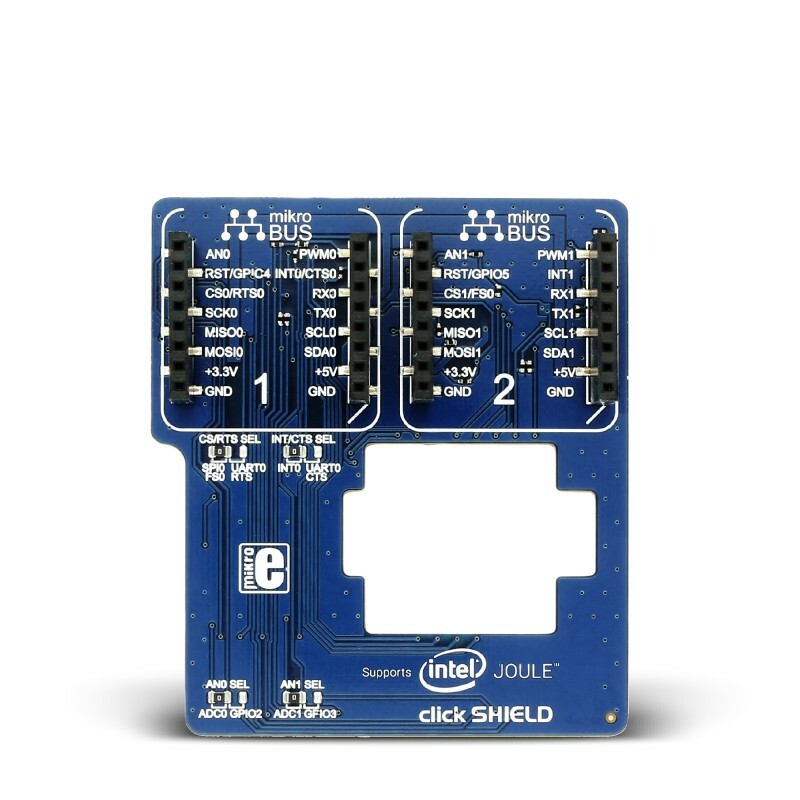 This click shield allows you to add more than 270 click boards™ to your project. 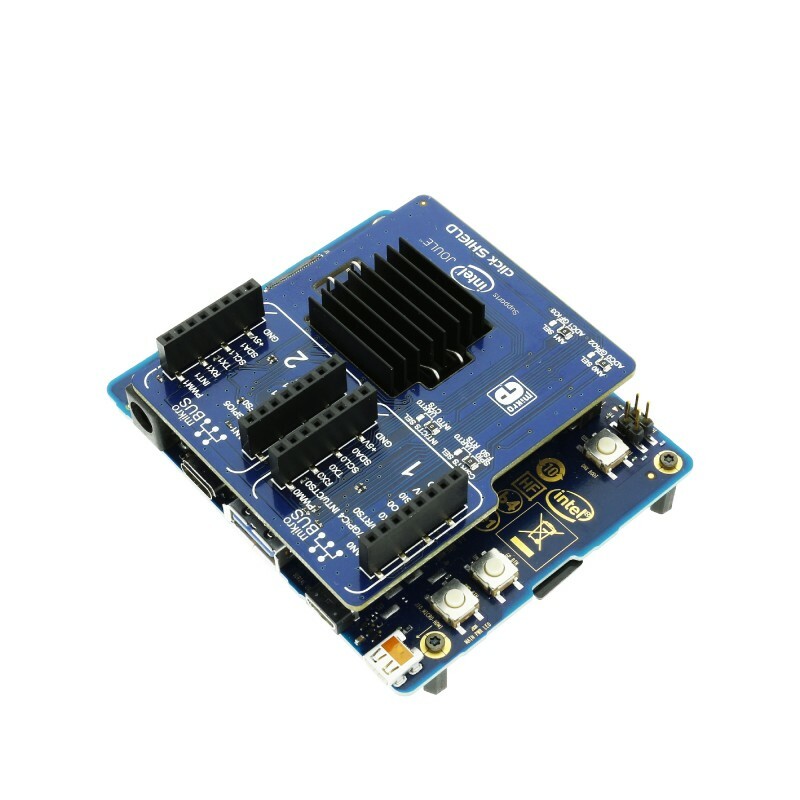 Add displays, WiFi, ZigBee or Bluetooth transceivers, Ethernet modules, sensors, MP3 codec circuit and other features to your prototype with ease. Click boards™ come with examples written in MikroElektronika compilers, so you will have a great base for your future projects. 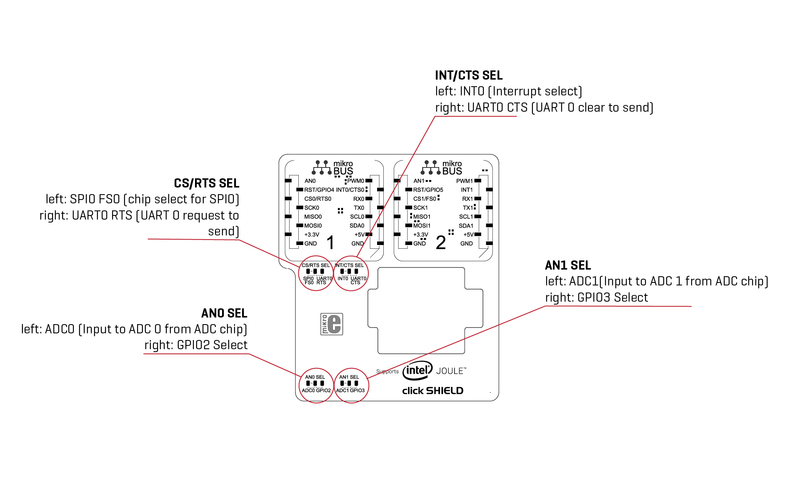 The Intel® Joule™ click SHIELD board includes the MCP3204 ADC - 4-Channel 12-Bit A/D Converters with SPI™ Serial Interface. The onboard ADC has a 2.048V reference. The board also features 2x40 pin connectors. Note: In case you don't want to use the 5V power supply on the Intel® Joule™ click SHIELD you should remove the jumper on the lower side of the board - marked as 5V EN. 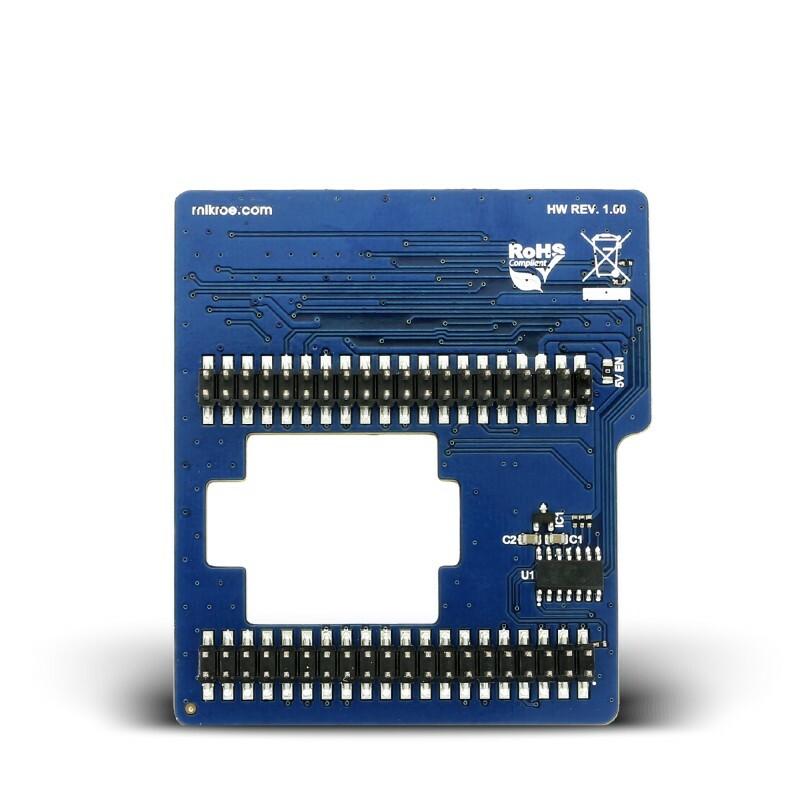 The expansion board is intended to breakout all I/O interfaces from the Intel® JouleTM module into easily accessible connectors. 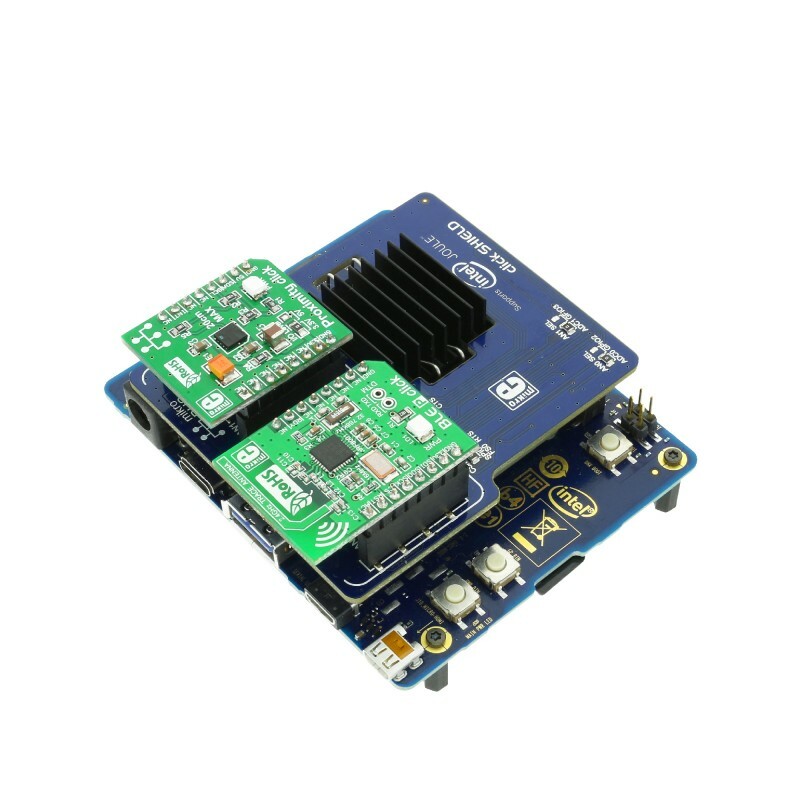 This powerful system on module (SoM) was designed to help inventors and IoT developers contribute to a new generation of robots, drones, and IoT devices that are equipped with Intel® HD Graphics, 3D modeling, object recognition, and interactive capabilities.